Keep up to date with the latest conversion and analytics news with Richard Chapman – plus a few of our favourite CRO blogs from around the web. 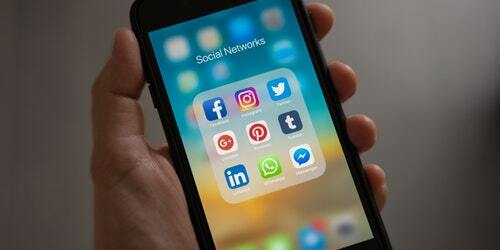 Facebook Analytics for Apps, a tool that allows Facebook App developers to analyse audience interactions, launched last week. 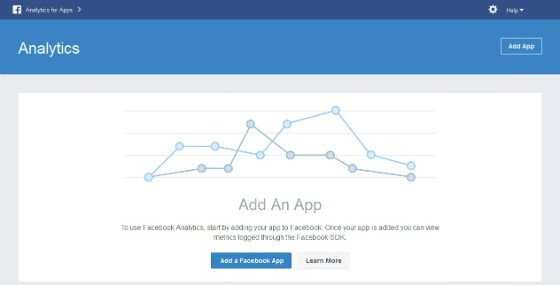 The Facebook Analytics for Apps page. The launch announcement was part of Facebook’s F8 developers’ conference, which ran from 25 to 26 March. During the conference, the social network announced more than 25 new products and tools for developers. Facebook Analytics for Apps promises cross-device tracking, audience segmentation, cohort analysis, funnel analysis and more. The tool is available now for all Apps that are logging App Events. According to Facebook, 87% of top-grossing apps in the States use App Events. In a new partnership, ZenithOptimedia and mobile intelligence firm NinthDecimal have become the latest companies to attempt a robust offline tracking solution. The deal, announced on Monday, will see ZenithOptimedia harness NinthDecimal technology to offer “a new standard of omni-channel measurement and audience insights” (StreetFight). The technology works by connecting device IDs and cookies to track customer locations, and join the gaps between online behaviour and offline visits. David Staas, president of NinthDecimal, said the platform is capable of extremely precise location tracking – it is apparently able to determine whether users enter the store, or merely pass on the street. In our SEO roundup a couple of weeks ago, we covered a security bug discovered in the popular WordPress SEO plugin by Yoast. The flaw potentially put millions of users at risk, but was patched quickly. However, just days later, another vulnerability was discovered, this time in Yoast’s Google Analytics WordPress plugin. The new vulnerability, detailed at SecLists.org, would theoretically allow hackers to change passwords, create accounts and gain access to Google Analytics data. Yoast was notified on 18 March, and released a new version of the plugin that addressed the security bug the following day. The secure version is labelled 5.3.3 – if you use an earlier version of the plugin, it’s advisable to upgrade as soon as possible. This is old news, but we missed it in our last CRO roundup – Google Analytics is now notifying webmasters if their website is hacked, reports Marketing Land. The notification is similar to those seen in Google Webmaster Tools, displaying the message “Google Safe Browsing has detected malware on pages reporting hits to property [domain URL]”. 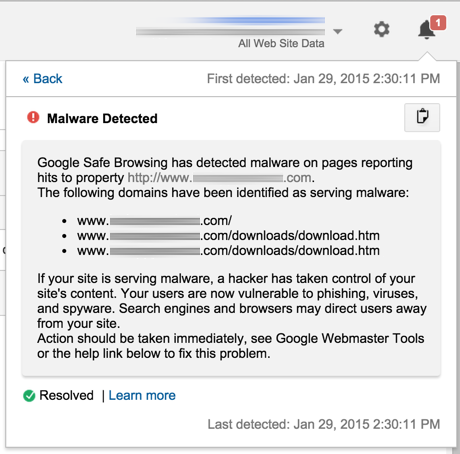 The change follows efforts from Google to make users more aware of malware-infected websites. In February, the Internet giant added notifications to Chrome and search to warn users off potentially harmful sites. The Power of Persuasion: ABCs of Leveraging Personas for Search Success: A breakdown of a ClickZ Live talk by search marketer Grant Simmons, covering one of my favourite topics – audience personas. Google Analytics for SEO – Basic Cohort Analysis: Cohort Analysis is a fairly new feature in Google Analytics – this rundown by Ben Goodsell is a good primer. How to Increase Conversion on Big Ticket Items: Tim Ash argues that conversion optimisation for high-value items has more in common with B2B sales than traditional e-Commerce. The Psychology Behind Asking Users For Their Email Address: A lively and insightful discussion of email acquirement tactics by entrepreneur Jeremy Smith. Read our last conversion news roundup: Conversion Tips for App Websites and B2B Landing Pages.